LEESBURG, Va. – After scoring the first goal in Loudoun United FC history this past weekend in a 1-1 draw against Memphis 901 FC, Griffin Yow was announced as a Homegrown Signing for the club’s MLS affiliate D.C. United on Tuesday. The 16-year-old forward becomes the 12th Homegrown signing in club history and joins former D.C. United Academy products Antonio Bustamante, Chris Durkin, Bill Hamid, Donovan Pines and Jalen Robinson on the club’s current roster. Born in Clifton, Va., Yow spent four years with the D.C. United Academy (2016-2019) and scored 41 goals in 68 U.S. Soccer Development Academy (USSDA) appearances. He has been called up to the U.S. Youth National Team multiple times, including the 2018 U-17 Nike Friendlies that took place in November and December, and has scored three goals in five USYNT appearances. 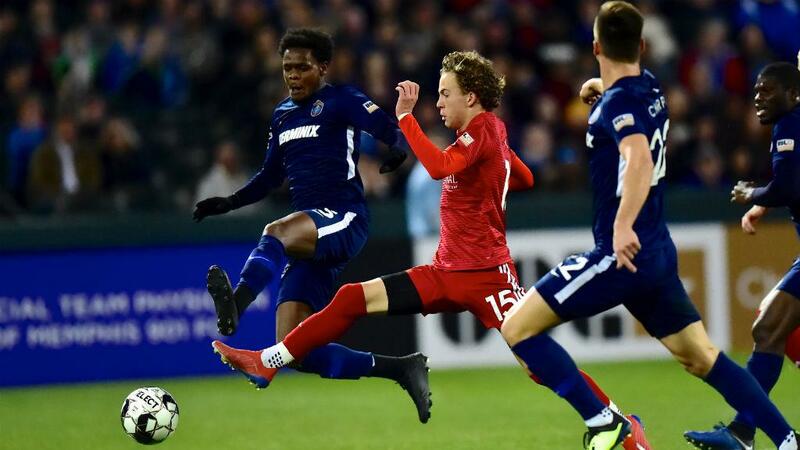 Yow made his professional debut for Loudoun as a 59th-minute substitute in its inaugural match against Nashville SC and played 84 minutes in Saturday’s match against Memphis. "We are incredibly proud of Griffin and his efforts to reach the first team,” said D.C. United Academy Director Ryan Martin. “He's obviously talented but his mentality and drive make him unique. This signing paints the picture of how clubs can successfully work together to provide a professional pathway for young players in the DMV."